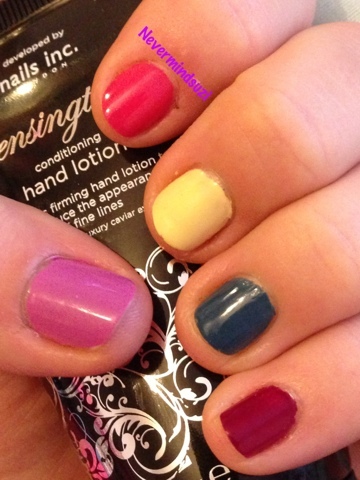 As I won 5 gorgeous Nails Inc mini's I decided the best way to show them off was a skittles mani. 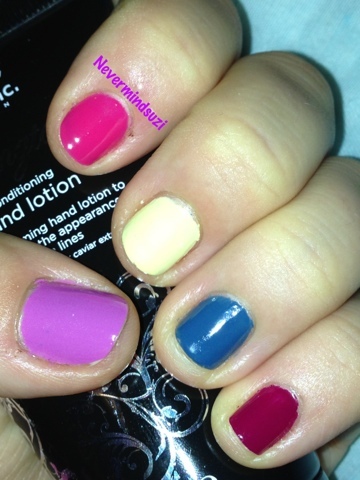 As usual the formula with Nails Inc was perfect, some were 2 coaters but Sumner Place and Shoreditch were 3 coaters. How lucky have I been recently? ?